Did you know that hydraulic fracturing has been occurring for decades but fracking for unconventional gas is relatively new and poses serious threats to our health and water? If you did not know this, then come out to our table this Saturday to the Public Market to find out more information on fracking and other campaigns we are working on. 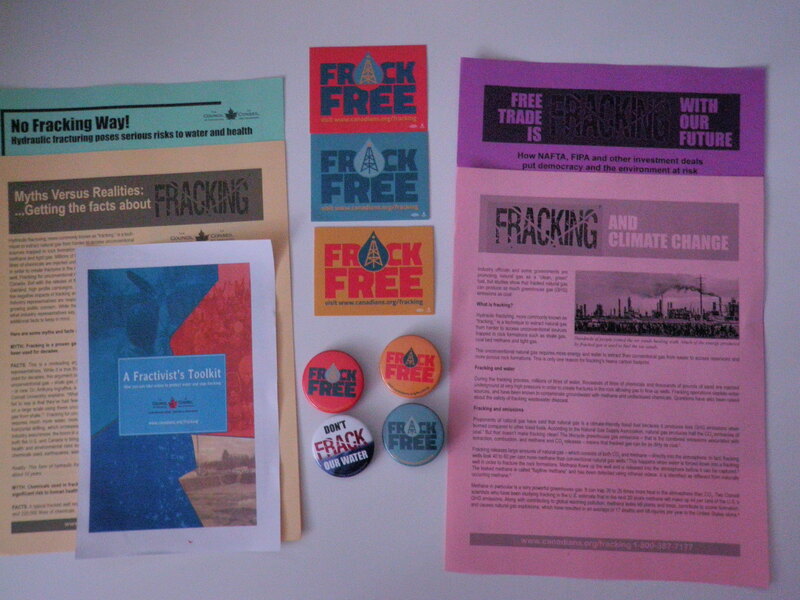 We have stickers and pins too, plus numerous articles to gain more information.